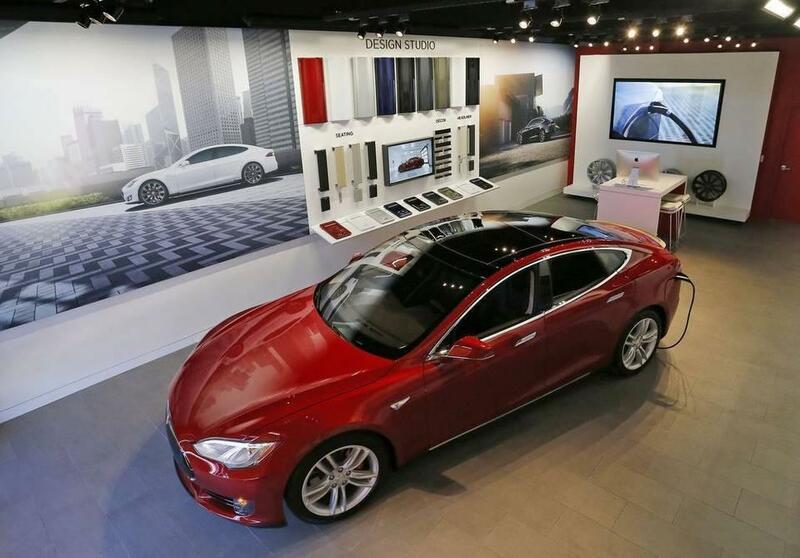 The electric car company Tesla is novel in many ways. It’s a new company trying to sell a new vision of the automobile, and it sells its cars in a different way: directly to consumers, not through a dealership. But in Texas, state law prohibits car companies from selling cars directly. Customers have to go through an independent dealership instead. For three years, Tesla has been trying without success to change that by lobbying Austin. Now it's lobbying party activists. “You can’t go into a Tesla show room, drive the car and say 'Man, I want that, give me the paperwork,'” says David White, a lobbyist for Tesla in Austin. "You have to go online or call California and get it shipped to you." Herring says his three dealerships have to compete with others on price and service, and that’s good for consumers. Texas has been protecting independent auto dealers since the 1950s, and he says that’s created the chance for local entrepreneurs like him to build successful small businesses. “I’m not saying I want to overregulate business, but I’m saying we want to keep regulations in place that allow for opportunity so that the next generation of entrepreneurs will be able to go out and open small businesses,” Herring says. The issue for him is less about Tesla, and more about how the auto industry works in Texas. Allowing direct sales, he says, means dealers like him could end up competing with the manufacturers they depend on. That would put them at a disadvantage, and upend what he sees as an even playing field. Over the last three years, Tesla has spent as much as two and a half million dollars on dozens of lobbyists in Austin working for the right to sell its cars the way it wants to. So far, though, the company has ended up with little to show for it. Bills proposed to exempt Tesla from the dealer franchise law have gone nowhere. University of Houston political scientist Brandon Rottinghaus says changing the status quo is always an uphill battle, especially when the status quo benefits a well-financed, well-connected industry. "Auto dealerships are everywhere, and every member has a dealership in their district. And so these are people who have local ties, they employ people who work and live in the district and there is a more local connection to legislators who don’t want to see those kinds of things change." Rottinghaus says going to the Texas GOP convention to lobby the Republican base is a savvy move after traditional lobbying hasn’t worked. He says Teslas are a pretty niche product – electric vehicles affordable only to a small number of people – but equating Tesla’s sales approach with many Republicans’ opposition to government intervention could make opposing dealer franchise laws something of a litmus test for supporting a free market. This week, Tesla will be at the Texas Democratic Convention in San Antonio, to make their case to the people. In January, they’ll push for legislation in Austin to change the way cars are sold in the Lone Star State.